Believed to be the first service of its kind in the Pacific, the resort check in facility is now a permanent fixture in the lobby of the Sofitel resort and allows guests to check in and check their baggage, meaning when they eventually arrive at the airport they can head straight through immigration and onto their gate. 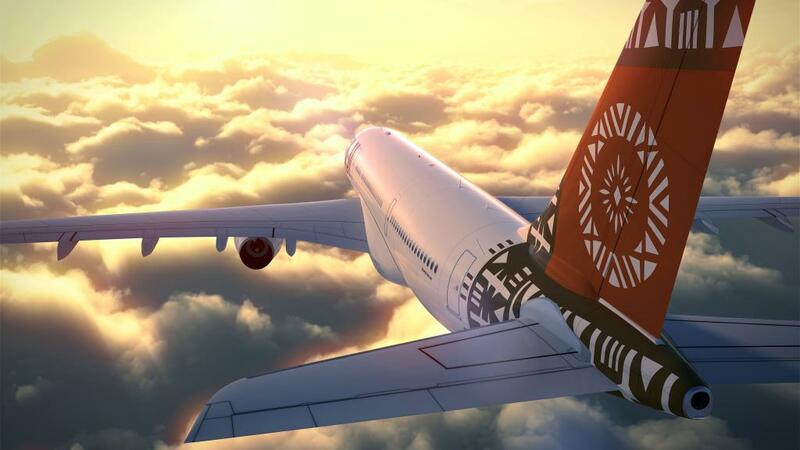 Fiji Airways Managing Director and CEO Andre Viljoen said the new service is just another way the airline is enhancing the customer experience. “We’ve designed this experience so guests simply get to the resort lobby and check themselves and their bags in for their Fiji Airways flights. We issue the boarding passes, tag and take bags off guests, leaving them free to enjoy Fiji for a few more hours” he said. While guests continue to relax and enjoy their last moments in Fiji, their bags are transferred to the airport and loaded onto their flights ready for pick up when they reach their destination. “This way, our guests can get a bite to eat, enjoy the pool, or go shopping at Port Denarau, before making their way to the airport. And at the airport, they bypass the airport check-in process and head straight to security. It’s all about adding value on departure day, allowing them a hassle –free ending to their Fijian holiday. The next time guests see their bags after checking these in at the resort, is on the baggage claim belt of their destination airport” Mr Viljoen said. Best of all, the new resort check-in service is complimentary for all guests flying Fiji Airways.